If planning your wedding was solely up to the discretion of you and your partner, it would be a piece of cake. For better or for worse, if your parents have financially committed to paying for some or all of your wedding, their opinions will hold more weight. Add this matter of money onto the fact that the Mother of the Bride’s role is traditionally to help plan the wedding. You can run into some control issues when it comes to making wedding decisions. 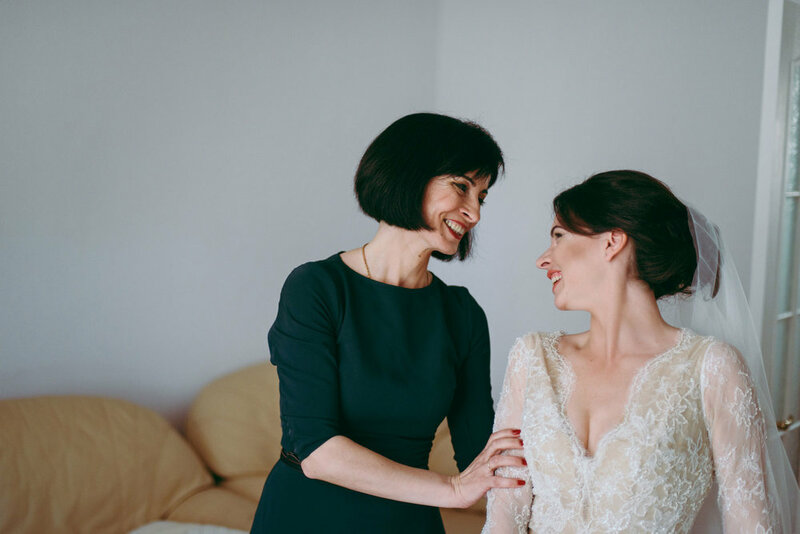 If your Mom is overstepping her MOB (Mother of the Bride) duties, consider our Tips for When Mom is Trying to Take Over the Planning. If you haven’t asked for your Mom’s advice or given her a list of items you could use help with, she might feel left out. While this isn’t her wedding, it’s a big day in her life, too, and it’s important to let her know that her opinion is valued. Involve your Mom in the planning from the start and it might mitigate any potential for future control issues. Besides, there are plenty of wedding duties that are perfectly suited for the MOB, such as coming along for wedding dress shopping, assisting with the guest list, and hosting the main event! Unfortunately, some moms have trouble separating their child's wedding from their own. Perhaps they are trying to make up for the wedding they never had, or your mom might have a long track record of controlling behavior. Regardless, if your Mom is heading into Momzilla status, you’ve got to be vocal, honest, and firm. A meeting of the minds can be helpful when you and your partner sit down with your parents (or just your mom) and go over your goals for the wedding and how the duties should be divided. Try to get everyone to come to an agreement so that as the planning commences, you can refer back to the previously laid out tasks and responsibilities and gently remind your mom what she’s to help with and where she agreed to step back. It’s understandable that if your parents are footing the bill, they will want to know where their money is being spent. Establish early on who will have the final say when it comes to decision making. If you and your parents are willing to compromise, consider setting aside a few items that mean the most to you and your fiance (such as the venue location) and explain to your parents where you and your fiance are willing to meet halfway with them. Of course, you can always opt to pay for the wedding yourself without having to worry about pleasing your parents. Your budget may be smaller than what your parents can cover, but at least you will be able to make the event uniquely yours and not theirs. That being said, planning your wedding with help and guidance from Mom is a truly rewarding experience that not every Bride gets the opportunity to do, so try to be kind and grateful. While she may not be up on the newest wedding trends, she has valuable life experience. Sharing your wedding planning with your mother may deepen your relationship and bring you even closer together. When you’re feeling frustrated, remind yourself that this event can be highly emotional for your mom as she watches you begin your new life and your own family with your soon-to-be spouse.